When living in the U.K. I tried to keep a croton. Attracted by contrasting bright vibrant splodges against the darkest green background, this indoor plant, in the cooler climate, received plenty of attention. Then one day, inexplicably, all of its leaves dropped off. Like other specimens that did not survive my care, the croton species fell firmly into the ‘too hard’ basket. Fast forward twenty years or so, I realised that, given the right environment, the croton is relatively hardy. We have two in a pot, in the garden, in Sydney. They seem to prefer being in part shade, tucked in amongst other plants. 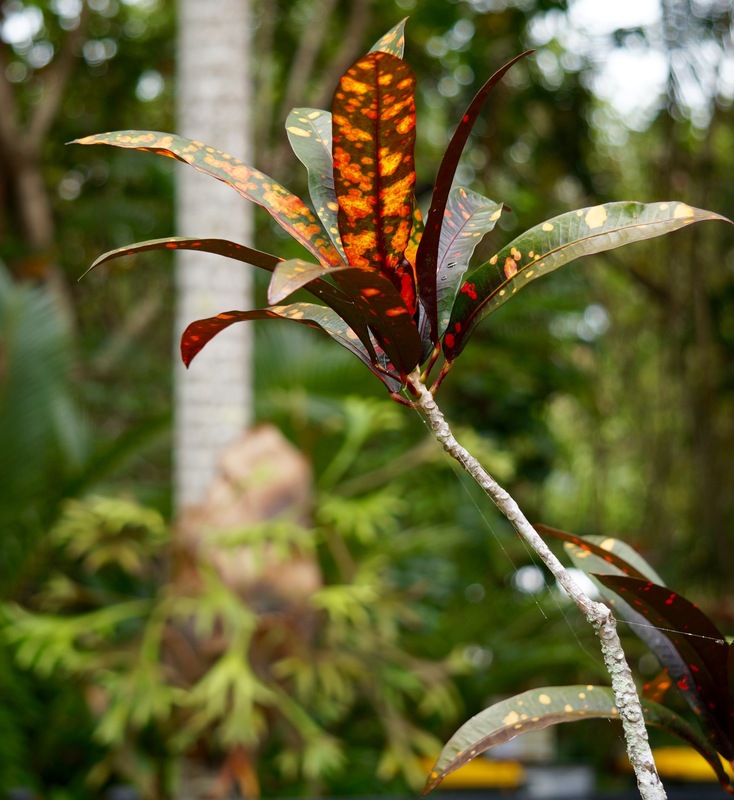 This particular beauty appears to be thriving in its tropical, Port Douglas home. I read this as tropical crouton. I thought I would find a recipe for some sort of exquisite recipe for the soup. I have to bring them in during the winter months and this is when they suffer. I cannot seem to get the conditions right, but during the summer months they truly pop in the garden. One day I will have a conservatory off the back of the cottage and hopefully then I will have the right conditions for these lovely plants to survive the winter months.